There are times when not only do I want to converse with God, but God wants to converse with me. In the past, I recognized those times when Daddy was on the line, but often I was too busy doing something else, so I said, I’ll call you back. Well, in short order I recognized just how dangerous that could be. WHAM!! Everything I touched after that call, was like riding on a Ferris Wheel. Going around in circles. Accomplishing nothing. Don’t you know that God has an arsenal of obstacles that he can place in your path that will trip you up, big time. So, take my advice and don’t even try it. Program your phone with a special ring that identifies our Father’s call and do not allow it to ring more than once before you answer it. He always has something vital to say. That was the case in June 1983. I had just returned home from a highly inspiring weekend women’s retreat in Massanetta Springs, Va., and was still ‘high’ on the Lord even after 4 days. I was walking around my home thinking about just how I could ‘bottle’ or immortalize all the excitement, energy, enthusiasm, hope, love, reverence and joy we had experienced. Believe it or not, I was even calling on the Lord for answers. Sure enough, He was responding by calling me, but my phone was busy (gossiping with other girlfriends), or I was out shopping (with credit cards), or casually discussing the matter with a familiar face in the mirror (my own) who hadn’t a clue about nothing. Yes, I was guilty of ignoring the very Source that I had called on in the beginning. Well, He got tired of it and laid me flat on my back. After becoming totally exhausted, I resorted to the couch and fell into a deep daze. I was sick and tired of being sick and tired. I surrendered. That’s when God said get up and grab your pencil and paper because I am about to turn you into Isaiah. Just like I heard his cry, I have heard yours. I was with all of you women at the retreat and I heard, seen and felt your compassion and love towards Me. 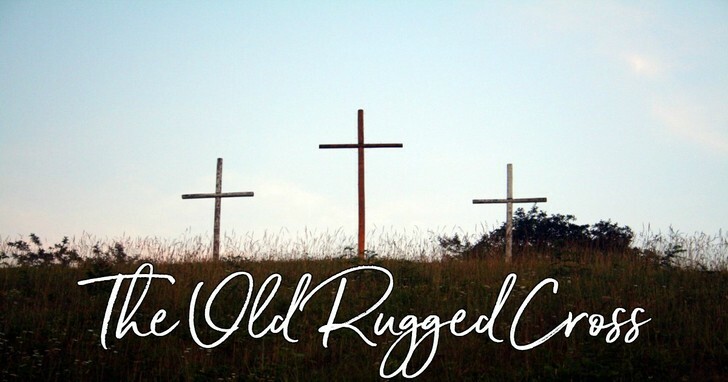 And you, my child, also saw Me high and lifted up sitting atop that hill in Massanetta Springs, and an ole rugged cross depicted My glory. So I did just what He said…arose, grabbed my pen and began to write…paraphrasing Isaiah 6 beginning at verse 2. Around the cross stood the female saints each one holding two hands of two others; and each one having a multitude of prayers on her lips. And one cried out unto each of us, and said, Pray, pray, pray to the Lord of host. He’s got a job for you to do out there in the world; and he’s waiting on you to fulfill His will. And a hazy light begin to appear above the cross as God opened the door called Morning and the atmosphere became filled with His glorious dew. Then said I, Woe is me! for I am undone; because I am a woman who’s been playing church. I have not completely aligned myself with the Saints of God: for this morning my ears have heard and my eyes have seen the King, the Lord of Hosts. And the Holy Spirit laid it upon my heart and said Lo, ask your sister to pray for thee; and thine iniquity will be taken away and thy sin purged. Also I heard the voice of the Lord saying, Eat the Word least I chew you up and spit you out. Then fell I upon my knees and said, I will eat the word. And he said, Get up, Go, return to your church and remember your promise to me; for if you do, I will surely reveal the scriptures to you and you shall have wisdom and understanding and you shall see me at work in you life. You shall have power in teaching my babies and they, too, will yearn for the word; and I will open up their ears so they can understand. I will close there eyes to the distractions around them and they shall look beyond the trash and tinfoil of this world and see only me. And the parents will see the change in them and bring them forth to be baptized. Then said I, Lord, how long must I eat the word and how long must I teach the gospel? And he answered, Until the cities become more humanized and God fearing, and the inhabitants learn the power of prayer and the households are without strife and the land is filled with love. So that no matter where the Children relocate to, if they should stray, there will be someone there to show them the way, thus many shall return, even a tenth, and shall be stronger and more faithful in their service then before. And that tenth shall be like the mighty teil and oak trees with their leaves shaped like the hearts of man, bearing wing like fruit in all seasons; and when the inevitable comes and the leaves shall fall and the physical seed shall be planted for the last time: Thanks be to God and our Lord and Savior Jesus Christ, and with the glorious forgiveness of every sin; our spiritual seed shall live on and continue to bear fruit for the Lord until He comes again. Hallelujah! Don’t you see…God’s response to my inquiry had been divinely answered with precise results and named rewards. Who could ask for anything more? Why had I been so stubborned in the beginning by thinking that I could resolve my own problems. Click the video picture below and take a few minutes to review just how God is no respecter of persons.